So I know what you're thinking it might be too soon to start thinking about Valentine's Day, but is it really? Its practically a month away and if you look around all major chain retailers already have it all on display. Literally all. The hearts, the chocolate, the cards, the balloons, the teddy bears, oh and the list goes on. 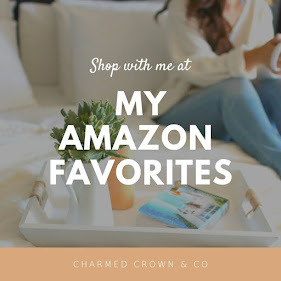 Me, I always like to plan ahead and be prepared, plus when it comes to gifting I love finding the most unique gift for my loved one, when you know them well enough, if that's the case then it should come to us pretty easy. Okay not always but we hope to find it easy enough. Personally I love the cliche of hearts and things but I believe the gift should be unique to the person you're gifting it to. As for us expecting the perfect gift from our partner or spouse, well ladies, let's admit it, they're not always cupid. They definitely don't always hit the mark. But we can make it easy enough for them by hinting them in the right direction. Yes, they could just go old school or should I say with the classic flowers and chocolate. Or even diamonds. But is that really what we all want or expect? I sometimes wish guys read blogs more often for the sake of our sanity and for the purpose of gifting us what we need and want, even if we don't know it yet. Let me be bluntly honest for a second, normally I'm not one to go for a bath, not because I dislike them, but because I don't seek the time for them, but I should. There's products out there from popular retailers such as Bath & Bodyworks and LUSH that have made it their concept. Truthfully though they're beautiful and smell great, no argument there, even their purpose is great but sometimes I've been turned off by the busy marketing or simply feel as though its for a younger crowd. Recently being introduced to TortugaLife Bath Bombs, I wasn't sure if I was up to trying their products because I thought they'd be just like the others. I couldn't have been more wrong. When I saw and opened the packaging, I instantly loved it so, I admired it for a while, then went in for what was inside. Classic beauty. The packaging, the aroma, and the simplicity of their bath bombs. Wow. And when I finally took one of these for a spin in the tub over the weekend, I was in awe, I enjoyed every minute, followed their indulgence directions except I followed up with the wine after the fact but primarily, I have to say, they didn't disappoint. Best of all they're all made with natural ingredients, no fuss. Its all natural relaxation for all the imaginable and right purposes, that a wife, mom, a stressed out day at work or even after a workout could use for those aches and pains. So back to the perfect gift, this is it ladies. For mom, sister, aunt, grandma, heck share it with the lover in your life, no one said, a bath is just for one. Like I said, I did not know what I was going to get or expect when I first heard of TortugaLife bath bombs, but I was not disappointed and I know you won't be either. Its seriously a gift that keeps on giving and won't put a hole in your lover's pocket or yours if you get them for yourself. Heck get two of them and keep them in stock. So get ready to hint away. I'm hoping that this beautifully executed gift makes gifting for anyone easy and uniquely enough for their beloved spouse, partner, relative or best friend! With that special holiday around the corner, this is a subtle and simply beautiful gift that any of us would appreciate. If you're interested you can order them from here. My valentine's day came early, but be warned, I expect those flowers and chocolate now for sure! hint hint ... cause I'm not a diamond girl! ;) okay okay, sometimes I am. Tell me, have you ever experience TortugaLife bath bombs before? Don't forget to follow me on Facebook and Instagram for the latest updates and subscribe to the blog via email!